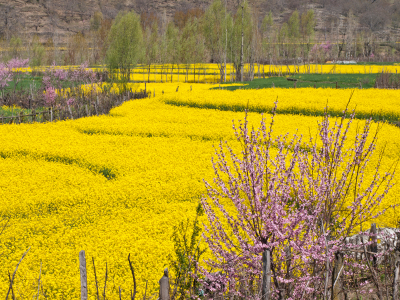 The prettiest crop in Indian farms, by far, has to be mustard. Consider it the lavender of India, where the gorgeousness of the rolling expanses is concerned. And like lavender, mustard has its own plethora of cultural, health and beauty nuances. The 5,000-year-old crop (called sarson or rai in hindi) is most revered in Northern and Eastern India, where it is known as the ’plant of long life’ and figures prominently in rituals and ceremonies besides the daily cooking activities. For example, mustard oil is poured on both sides of the threshold when someone important comes home for the first time or after a long absence and is used as fuel for lighting earthen lamps (diyas) on festive occasions such as Diwali. Most importantly, however, it forms an integral element in the beauty traditions that precede a wedding. In the most popular variation, it is mixed with turmeric to create a purifying paste that’s slathered all over the bride and groom. It’s traditional purpose is to make the turmeric penetrate deeper into the skin while imparting warmth, strength and a glow to the body. 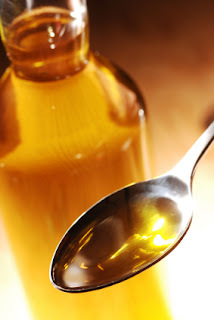 – Smooth lips: For soft, smooth lips, put a drop of mustard oil in your belly button before sleeping (sounds strange, but it works!). – A better body: According to Ayurveda, massaging the body with mustard oil improves the blood circulation and muscular strength while detoxifying the body. It also slows down premature ageing, improves skin texture, relieves stress and boosts skin immunity. – Tackle dryness: Have dry skin? Mustard oil is loaded with vitamin E and hence makes a great hydrator when massaged into the skin. – Glowing skin: If you have some time, make an ubtan: Mix equal amounts of turmeric powder, saffron, sandalwood, bengal gram and powdered mustard seeds in mustard oil to make a thick paste. Apply this all over your body and keep it on for 20-30 minutes, then scrub it off in the shower. Doing this regularly will not only keep your skin supple and glowing but also keep it safe from infections. – Acne: To treat acne, mix turmeric powder with a few drops of mustard oil and lemon juice. Apply this paste on your pimples, leave on for 15 minutes and then scrub gently. Wash off with plain water. Do this 2-3 times a week to keep chronic spots at bay. – Lustrous hair: Mustard oil stimulates circulation and contains fatty acids to revitalise the scalp and bring blood to the hair follicles, thereby making your locks thick and lustrous. Simply massage the oil into your scalp and hair, then cover your head with a shower cap. Blast with a hair dryer for about 10-15 minutes to help the oil penetrate your hair shafts. Wash hair and style as usual. – Hair loss: To treat hair loss, boil mustard oil and add some henna leaves. Allow the leaves to burn in oil. Then cool the mixture and filter it with a thin cloth or fine strainer. Use this concoction to massage you hair every day.